Racial inequality and public policy. 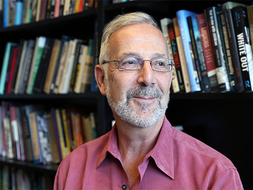 Professor Thomas Shapiro directs the Institute on Assets and Social Policy and is the David R. Pokross Professor of Law and Social Policy at The Heller School for Social Policy and Management, Brandeis University. Professor Shapiro's primary interest is in racial inequality and public policy. He is a leader in the asset development field with a particular focus on closing the racial wealth gap. The Hidden Cost of Being African American: How Wealth Perpetuates Inequality, published by Oxford University Press, 2004 (soft cover, 2005) was widely reviewed, including by the Washington Post, Boston Globe, and others. The book was named one of the Notable Books of 2004 by The St. Louis Post-Dispatch. With Dr. Melvin Oliver, he wrote the award-winning Black Wealth/ White Wealth, which received the 1997 Distinguished Scholarly Publication Award from the American Sociological Association. This book also won the 1995 C. Wright Mills Award from the Society for the Study of Social Problems, and the Gustavus Myers Center for the Study of Human Rights in North America named it an Outstanding Book of 1996. A Tenth Anniversary Edition of Black Wealth/White Wealth, with two new chapters that examine the most important changes in racial inequality and developments in asset policy in the past decade, was published in 2006. Great Divides: Readings in Social Inequality in the United States, 3rd edition, was published in the summer of 2004. His media appearances include Tony Brown's Journal, The Tavis Smiley Show, Talk of the Nation, CNN, and On Point. His work has been reviewed or discussed in The Washington Post, The Boston Globe, The American Prospect, The Chicago Sun-Times, The St. Louis Post-Dispatch, CommonWealth Magazine, Newsweek, The Village Voice, and others. Dr. Shapiro presents lectures and seminars throughout the United States to general, professional, policy, community, foundation, and university audiences. He teaches seminars in Assets and Social Policy; The Sociological Inquiry of Inequality; and Qualitative Research Methods. Shapiro, Thomas M. "Disrupting the Racial Wealth Gap." Contexts x. Winter (2019): 8-15. Amy Traub Dēmos Laura Sullivan, Tatjana Meschede, & Tom Shapiro. The Asset Value of Whiteness. Boston and New York Institute on Assets and Social Policy (IASP), Brandeis University: 2017. Shapiro, Thomas M & IASP Team, Racial Wealth Audit. Racial Wealth Audit. Continual. IASP and Demos. <RacialWealthAudit.org>. Shapiro, Thomas M. Toxic Inequality. First ed. New York: Basic Books, 2017. Tatjana Meschede, Joanna Taylor, Alexis Mann, and Thomas Shapiro. "“Family Achievements?”: How a College Degree Accumulates Wealth for Whites and Not For Blacks." First Quarter 2017, 99(1). (2017): 121-37. Loya, Rebecca, Mann, A., Boguslaw, J., and Shapiro, Thomas M. Tipping the Scale: How Assets Shape Economic Wellbeing for Woman and Families. Waltham, MA IASP: 2016. Shapiro, Thomas M and Hannah Thomas, Co-Guest Editors, ed. Race and Social Problems: Special Issue on Race and Wealth. Springer, 8 2016. Shapiro, Thomas M and Hannah Thomas, ed. Prologue for Special Issue on Race and Wealth. Springer, 8 2016. Hannah Thomas, Janet Boguslaw, Sara Chaganti, and Thomas Shapiro. Keeping Dreams Alive: The Lane-Changer Costs of Financial Disruptions. Waltham MA: 2015. Hannah Thomas, Tatjana Meschede, Alexis Mann, Allison Stagg, and Thomas Shapiro. Location, Location, Location: The Role Neighborhoods Play in Family Wealth and Well-Being. 2015. Shapiro, Thomas M. Tatjana Meschede, Laura Sullivan, et. al.. The Racial Wealth Gap: Why Policy Matters,. IASP and Demos: 2015. Shapiro, Thomas M., Hannah Thomas, Tatjana Meschede, Alexis Mann, Janet Boguslaw, and Thomas Shapiro. Web of Wealth: Resiliency and Opportunity or Driver of Inequality. 2015. Shapiro, Thomas M., Tatjana Meschede and Laura Sullivan. The Racial Wealth Audit™: Measuring How Policies Shape the Racial Wealth Gap. Waltham IASP: 2015.
laura sullivan, tatjana meschede, lars dietrich, & thomas shapiro Shapiro; mark huelsman & tamara draut. Less Debt, More Equity: Lowering Student Debt While Closing the Black-White Wealth Gap. New York Demos and IASP: 2015. Hannah Thomas, Janet Boguslaw, Shapiro, Thomas M. Employment Capital: How Work Builds and Protects Family Wealth and Security. Waltham IASP: 2014. Boguslaw, Janet, Thomas, Hannah, Meschede, Tatjana, and Shapiro, Thomas M. "Making Hard Choices: Navigating the Economic Shock of Unemploymen. Washington, D.C. Pew Foundation: 2013. Shapiro, Thomas M, Meschede, Tatjana, and Osoro, Sam. Widening Roots of the Racial Wealth Gap: Explaining the Black-White Economic Divide. Boston, MA IASP: 2013. Shapiro, Thomas M, Meschede, Tatjana and Sullivan, Laura. The Crisis of Economic Insecurity for African-American and Latino Seniors. Boston and New York Institute on Assets and Social Policy and Demos: 2011. Shapiro, Thomas M, Meschede, Tatjana, Cronin, Martha, and Sullivan, Laura. RISING ECONOMIC INSECURITY AMONG SENIOR SINGLE WOMEN. Boston and New York Institute on Assets and Social Policy and Demos: 2011. Shapiro, Thomas M, Meschede, Tatjana, and Sullivan, Laura. From Bad to Worse: Senior Economic Insecurity on the Rise, July 2011. Institute on Assets and Social Policy, Demos: 2011. Shapiro, Thomas M, Meschede, T., and Sullivan, L.. Racial Wealth Gap Increases Fourfold. Boston Institute on Assets and Social Policy: 2010. Shapiro, Thomas M, Meschede, T., and Wheary, J.. Living Longer on Less: The Financial Insecurity Among Seniors of Color.. Boston Institute on Assets and Social Policy and Demos: 2010. Shapiro, Thomas M. Living Longer on Less in Massachusetts: The New Economic (In)Security of Seniors. 2009. Shapiro, Thomas M/Laura Sullivan/Tatjana Meschede. "The Long-Term Economic (In)Security of Seniors." New England Community Developmens (2009): December, 2009. Shapiro, Thomas M/Melvin Oliver/Tatjana Meschede. The Asset Security and Opportunity Index. Institute on Assets and Social Policy. 2009. Shapiro, Thomas M/Tatjana Meschede/Jennifer Wheary. Living Longer on Less: The New Economic (In)Security of Seniors. 2009. Shapiro, Thomas M/Hannah Thomas. "Twenty-first Century Ownership: Individual and Community Stakes." Community Investments (2008): 26-30. Shapiro, Thomas M/Jennifer Wheary/Tamara Draut/Tatjana Meschede. Economic (In)Security: The Experience of the African American and Latino Middle Classes. 2008. Shapiro, Thomas/Melvin Oliver. "Sub-Prime as a Black Catastrophe." The American Prospect Special Supplement: The Color Of Opportunity. (2008): A9-A11. Shapiro, Thomas M/Jennifer Wheary/Tamara Draut. By A Thread: The New Experience of America's Middle Class. 2007. Shapiro, Thomas M. "Race, Homeownership and Wealth." Washington University Journal of Law & Policy 20. (2006). Shapiro, Thomas M/Melvin Oliver. Black Wealth/White Wealth: A New Perspective on Racial Inequality. Tenth Anniversary Edition. New York and London: Routledge Publishers, 2006. Shapiro, Thomas M. The Hidden Cost of Being African American: How Wealth Pepetuates Inequality. Paperback ed. Oxford University Press, 2005. Shapiro, Thomas M. Great Divides: Readings in Social Inequality in the United States. 3rd ed. McGraw-Hill, 2004. Shapiro, Thomas M. The Hidden Cost of Being African American: How Wealth Perpetuates Inequality. Oxford University Press, 2004. Shapiro, Thomas M. Black Wealth/White Wealth. Routledge, 1995.